Tanweer is a human rights NGO that aims to create a society which believes in acceptance and cultural diversity, creating worldwide constructive partnership among various human civilizations, renouncing violence in all its forms through the promotion of values of equality, tolerance and human rights, cultural and artistic initiatives. To promote and reinforce the principles of diversity, acceptance and tolerance among the society. To build global bridges of communication and constructive partnership between all cultures. 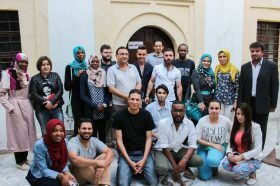 To Promote universal human rights values and total equality, To strengthen the role of civil society, to voice human rights defenders and activists’ concerns, in Libya and MENA region. and To create a safe space and platform for activists, human rights defenders and members of different minorities to have a voice and share experience and stories. Combating all types of violence and abuse, and pushing towards achieving global peace. Encouraging intellectual creativity and innovation by contributing into the building of the society’s critical mind beyond the bounds of any limits or restrictions. To challenge and eliminate all forms of discrimination on grounds of race, colour, sexual orientation, gender, language, religion, views, nationality or social origins, economic background, birth or any other condition. 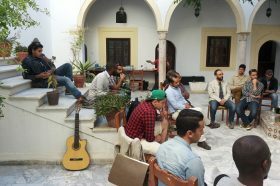 It was the first activity of the Tanweer movement in Libya, the 2nd hand Book Festival, which took place in Tripoli on April 21, 2013. 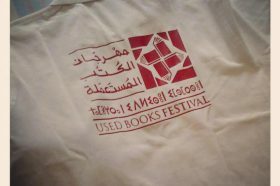 The festival lasted for three days under the slogan “Give your book a new life”. 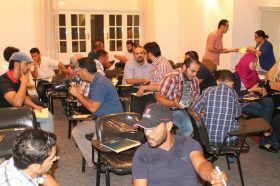 The movement organized an interactive Sociology workshop which sought to introduce social science concepts, theories and ideas in an interactive manner aimed at establishing critical and rational thinking in society. On 20th August 2013, Tanweer Movement launched its first educational workshops for the young generation. The workshop lasted three days, (20 – 22 August 2013). A lecture on human rights and human rights international conventions, where human rights from Natural Law vs. Positivism perspectives were discussed. 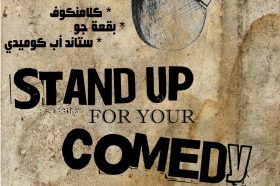 As part of its activities in support of modern art and freedom of expression, the movement organized a day of satire and cynicism, which included a panel discussion on comedies and satire. The event also included a stand-up comedy stage time to a number of local talents. 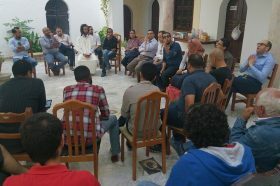 Tanweer movement organized a workshop on the concept of the secular state: its definition and contextual requirements. Foundations of the secular state, i, as well as the social contract that preserves and maintains the existing state of affairs. Tanweer movement organized a workshop entitled “The Concept of Identity” – its various problems and definitions. It included a panel discussion and interaction on the concept of identity, its different forms and definitions. The award aims to promote e-blogging and promote freedom of expression and creativity and the concept of e-blogging, which is based on free speech away from the cultural, ordinary, and traditional constraints of the world. (The voice of youth: culture … art … creativity), under this slogan Tanweer movement organized the one of the most important and largest activities in partnership with (Huna Libya) one of the projects of Radio Netherlands Worldwide (RNW), on Dec 25, 2015 at Al-Mahari Hotel venue, VYCAN cultural event was held, it was a one day event, designed to be a panorama of art, culture and creativity. Do you want to be a member of Tanweer Movement ? You can now be a member in Tanweer Movement by filling out the membership form. Through its observatory, the Tanweer Movement aims to promote individual and intellectual freedoms, to monitor and document cases of intellectual repression historically, and to provide information to all human rights activists to advocate for these issues and to press for non-repetition of violations and preventing their recurrence. Breaking the wall of silence. Monitor violations against individual and intellectual freedoms in the region, and violations of freedom of religion and belief. Documenting cases of intellectual repression, freedom of expression and belief, And to issue detailed reports on these issues. Communication with international organizations and the media, and coordination to advocate these issues, and to Break their isolation. 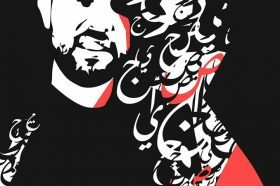 Tanweer movement is NGO aims to create a humanst society believe in Tolerance and accepting others, and reject the violence in all its forms, through spreading the principles of Human Rights, and Equality and non- discrimination,through human rights projects and cultural and artistic activities.